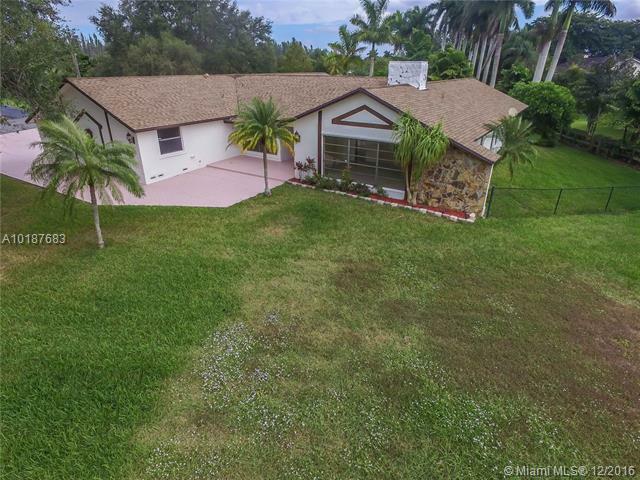 BEAUTIFUL CORNER HOUSE WITH 4 BEDS / 3 BATHROOMS AT GRAND BAY ESTATES IN THE DESIRABLE AREA OF DORAL BEST PRICE IN THE AREA, GRAND BAY WILL HAVE CLUB HOUSE AND RECREATIONAL AREAS, INCLUDING A WATER PARK . STATE OF ART KITCHEN, BATHROOMS AND FINISHES IN GENERAL, SPACIOUS FAMILY, LIVING AND DINNING ROOMS. SITTING AREA IN MASTER BEDROOM, GREAT SCHOOLS, RESTAURANTS AND SHOPPING INCLUDED NEW SUPERMARKETS. Fabulous one-story house completely renovated. This home features an open floor plan; living/dining area at the entrance; 4beds & 2.5baths; spacious master with dual shower. Family room integrated with the kitchen. Spacious outdoor space with pool and covered terrace. Efficiency, porcelain floor throughout common areas, wood floor in bedrooms & designer finishes. No neighbors in the back. Centrally located near shopping, restaurants, entertainment & the best schools in the area. 10 minutes to FL Turnpike. ONE OF THE LARGEST LOT IN ISLANDS AT DORAL. 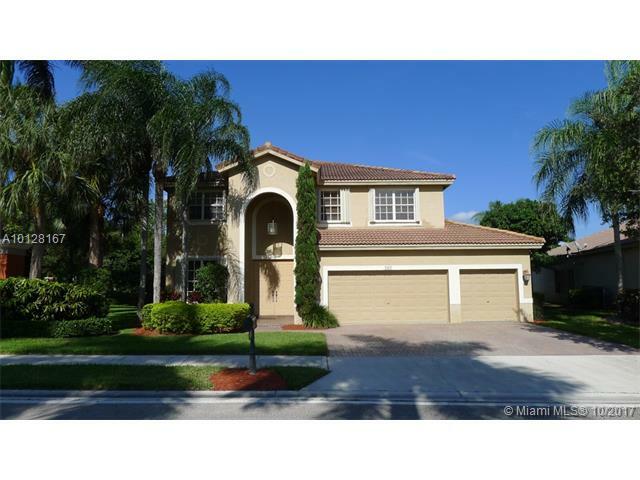 BEAUTIFUL LARGE CORNER HOME WITH 4 BEDROOMS AND 4 BATH. ONE FULL BATH AND BEDROOM DOWNSTAIRS. TOO MANU UPGRADES TO MENTION. 24 HR NOTICE PLEASE TO SHOW. 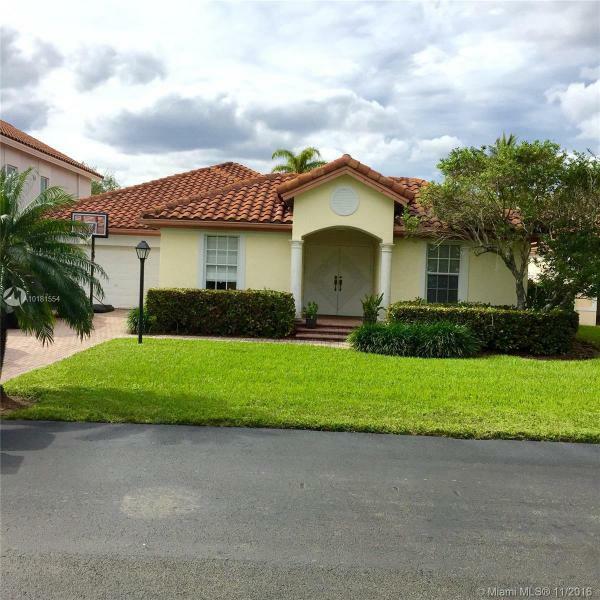 SPACIOUS 1 STORY 4 BED 3.5 BATHS W/2817 SQFT & 8,076 SQFT LOT +2 CAR GARAGE IN DORAL IN A GATED COMMUNITY.FOYER.HIGH CEILINGS.VERY SPACIOUS LIVING/DINING AREA W/GREAT LIGHT & EXITS TO NICE YARD. 1/2 BATH OFF LIV/DIN AREA. KITCHEN FAMILY COMBO W/A SECOND DINING AREA. MASTER W/LARGE WALKING CLOSET & MASTER BATH W/2 SINKS, SEPARATE SHOWER & TUB & BIDET. 2 MORE BED W/A SHARED BATH.4TH BED & BATH HAS A SEPARATE ENTRANCE(GREAT FOR IN-LAWS/TEENAGERS/OFFICE SPACE)& LEADS INTO COURTYARD/EXTRA ENTERTAINING AREA. Beautiful 5 bedroom 3 bathroom home on a large corner lot overlooking the garden, the lake and Emerald Park. Faces West. Bedrooms on the upper floor. Walk-in closets. Large area for entertaining. Private community with pool and fitness center The Association maintenance includes lawn, basic cable and alarm. Excellent location in Emerald Estates. Close to shopping and I-75. Best Schools: Cypress Bay High, Everglades and Falcon. Gated community. Shutters. Price negotiable. BRAND NEW SINGLE FAMILY HOME AT RAMBLAS COUNTRY CLUB, 4 BEDROOMS AND 4 BATHROOMS , PORCELAIN FLOORS, WOOD CABINETS, GRANITE COUNTERTOPS, STAINLESS STEEL APPLIANCES, IMPACT WINDOWS, CABLE INCLUDED , 2 CAR-GARAGE, CLUBHOUSE WITH LIBRARY, TENNIS COURT, GYM , MEETING ROOM,24 HRS SECURITY, GATED COMMUNITY.